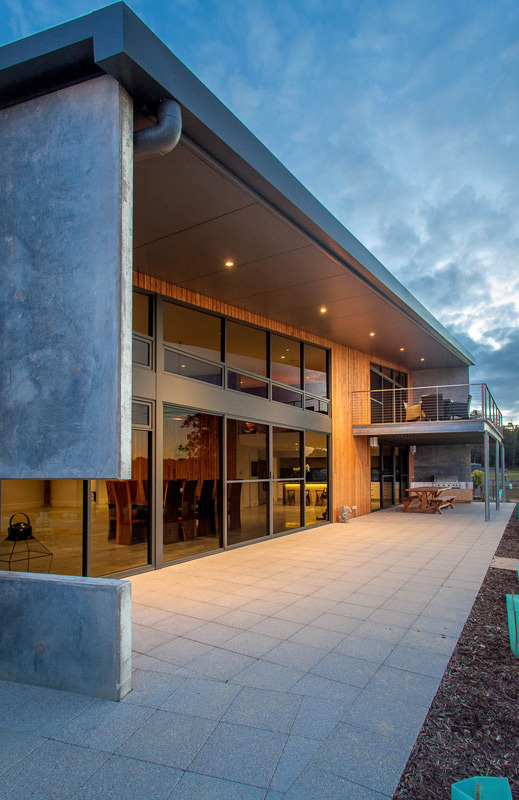 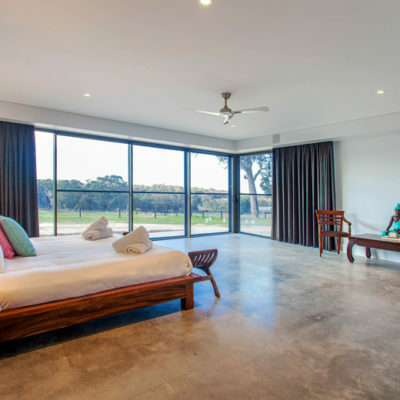 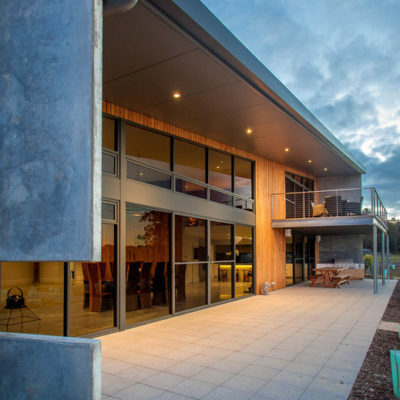 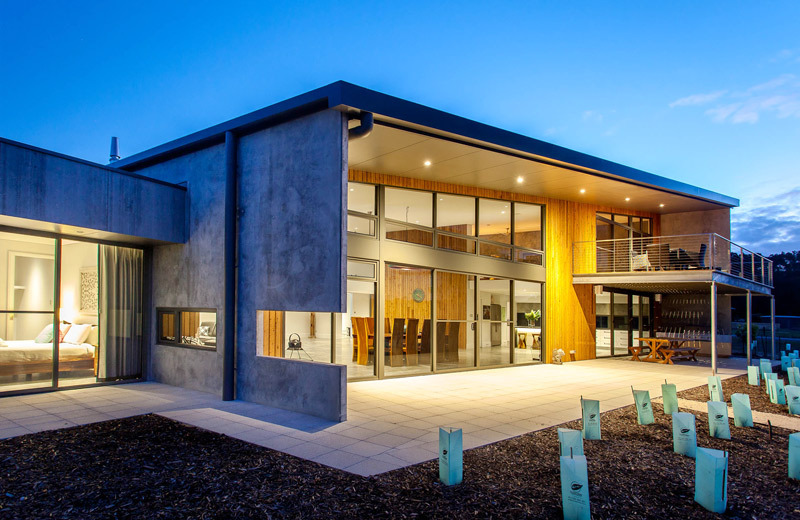 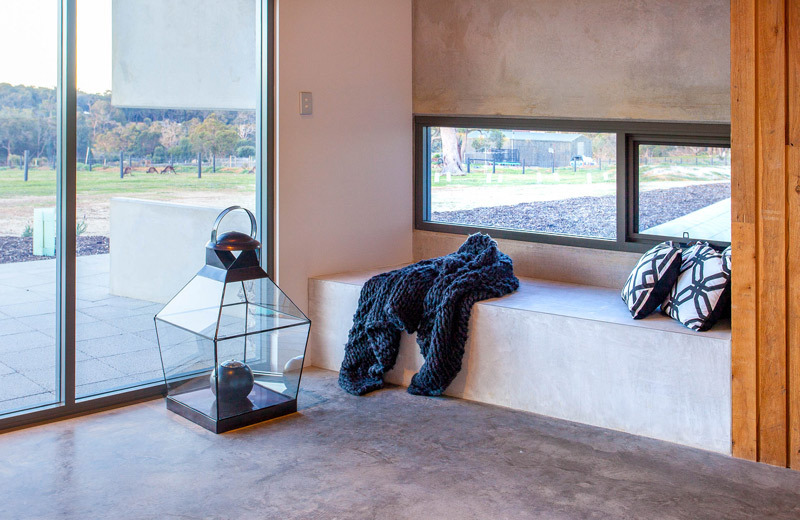 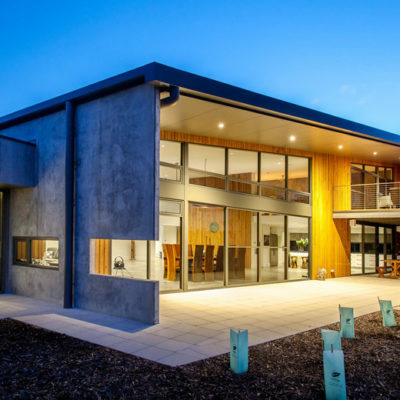 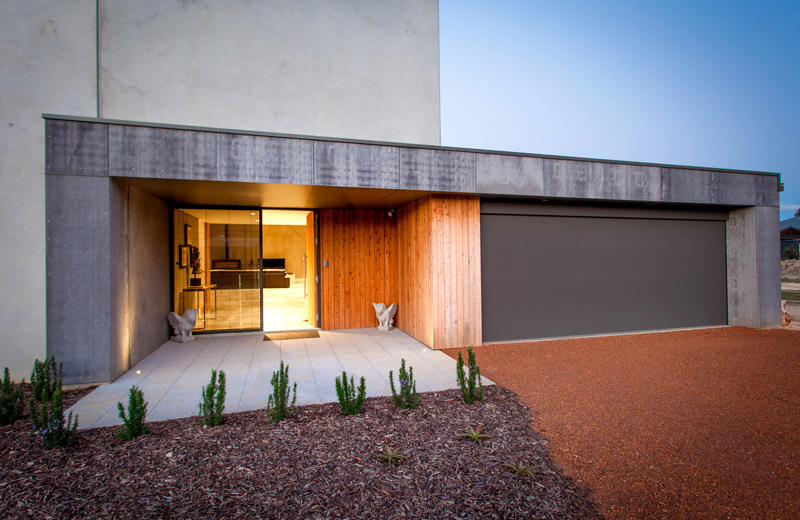 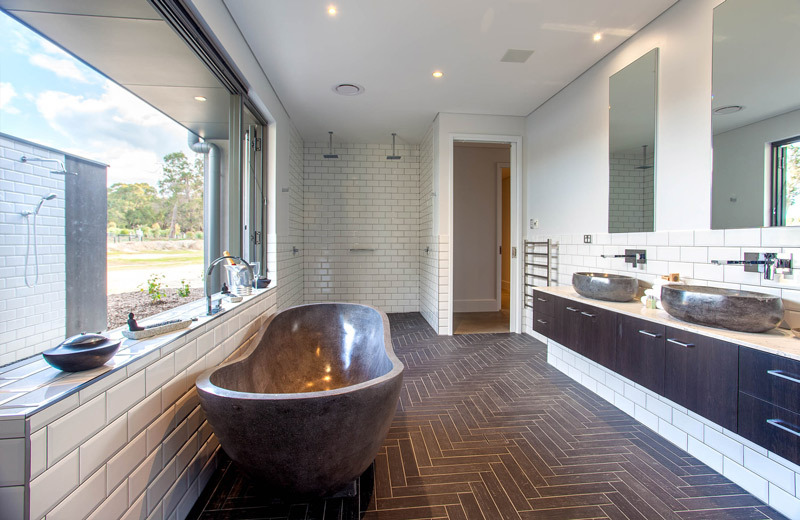 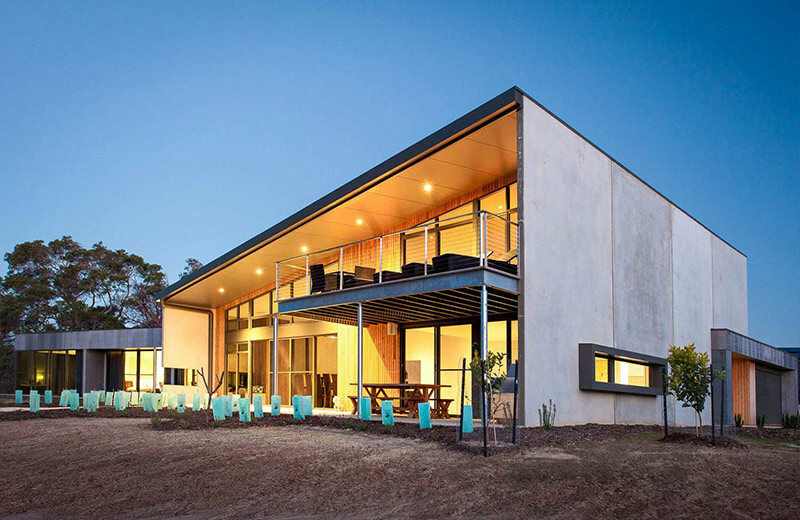 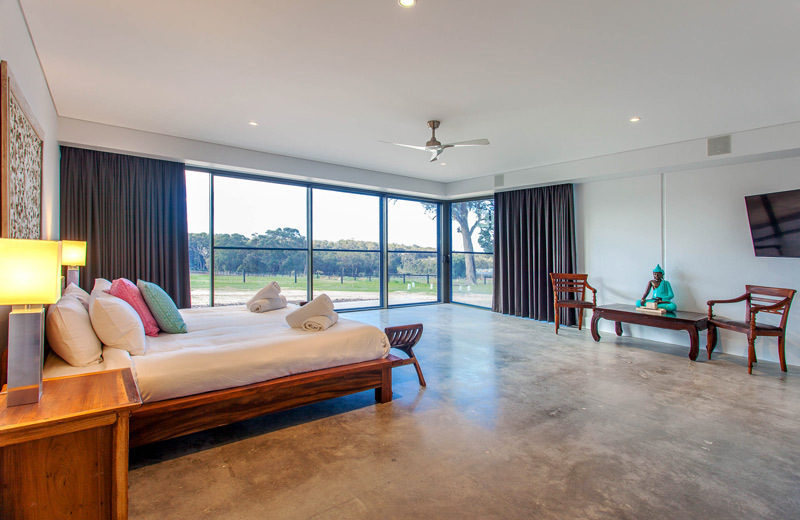 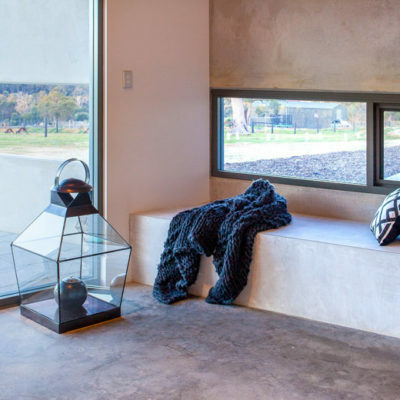 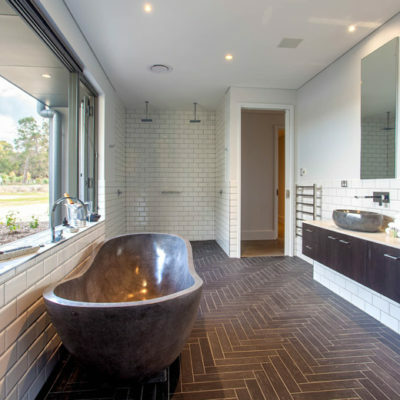 Balmoral Drive Quindalup is an architecturally designed luxurious custom home, which effortlessly blends concrete panel walls and flooring with timber feature elements. 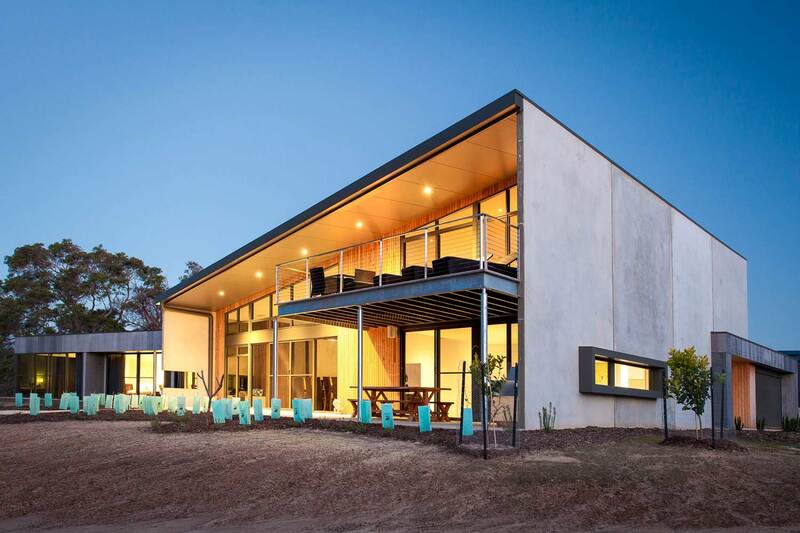 The spacious floorplan provides both open living areas and space to retreat, whilst the high ceilings and large windows throughout enables an abundance of natural light and importantly connects the home to the rural landscape. 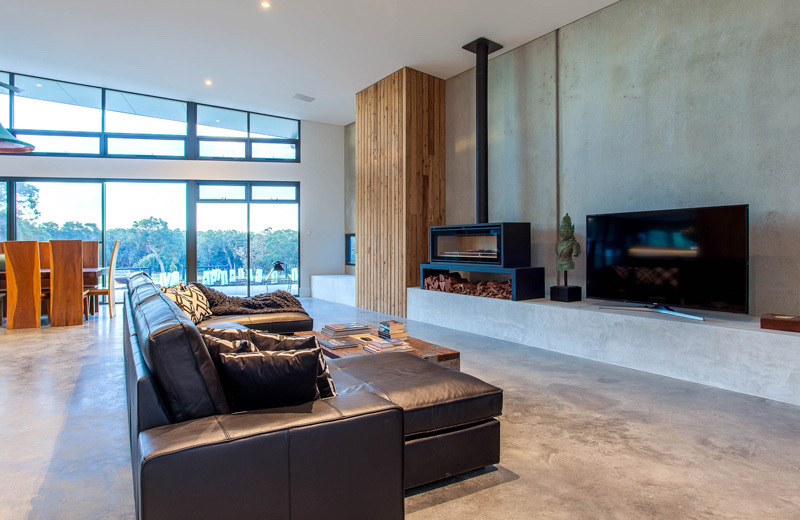 At 526 sqm, this deluxe custom built home includes three king size suites, generous living spaces with mezzanine, a butler’s pantry, electric in slab heating and a large feature wood fire, well exceeding the expectations for a modern luxurious retreat home.